Our goal is to make the mortgage process as quick and easy as possible for you. If you are thinking about buying a home, it helps to know what lies ahead. This list explains the basic steps of the mortgage process to help you understand what is happening with your loan and what you can do during the process. What is happening at Texas Lending: One of our licensed loan officers will talk with you about your mortgage options and your goals. This step allows for establishing a budget, analyzing your income and savings as well as your credit score, liabilities, and existing debt. Once they have the information they need to get the pre-approval process underway, our team will work to get a fully underwritten pre-approval. Provide complete and accurate information about your financial goals and history. Respond to emails or phone calls quickly to keep the process moving during this step and all other steps of the process. If you don’t have a realtor, ask your loan officer about our Customer Edge program and how you can earn cash back after closing. 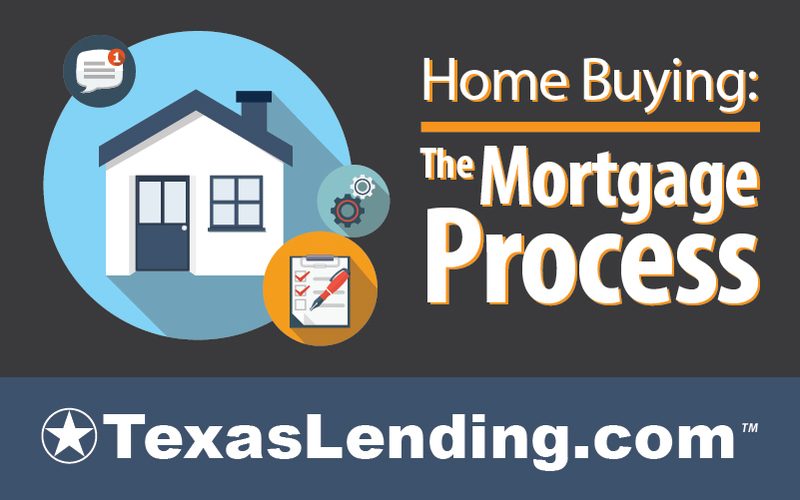 What is happening at Texas Lending: Once your offer is accepted on a home, it’s time to submit an official application for a mortgage on the property. We will Work with you and your realtor to obtain all of the contract information. Your loan officer will call you to discuss your mortgage options and lock in your rate. Open new credit accounts or make large purchases like furniture, vehicles, appliances, ect. Shop for your home insurance. What is happening at Texas Lending: After you have locked in your rate with your loan officer and chosen the loan program that is right for you, we will send you the initial loan disclosure. this document contains the details for the set up of your mortgage loan. What you can do during this step: Review and sign the initial disclosure form as soon as you receive it. What is happening at Texas Lending: Once we receive confirmation that your loan disclosure is signed, we will coordinate the appraisal of your property. Pay for the property appraisal as soon as possible. An appraisal is a requirement for a home purchase loans, however an inspection report is not often required. This may be a good time to order an inspection to get an in-depth report on the condition of the home and all of the systems within the home. What is happening at Texas Lending: Your loan processor will be in contact with you to ensure that we have all of the required documentation. It is normal for updated account statements to be requested at this stage if time has passed since your initial pre-approval. Be on the look out for communication from your loan processor, they are instrumental is ensuring that everything is in place and on time for closing. Submit complete documentation quickly upon request. What is happening at Texas Lending: Underwriters ensure that all of the legal requirements for the loan align. The underwriters goal is to protect both you and the lending company by adhering to the regulations in each unique property transaction. Don’t be alarmed if the underwriter requests additional documentation, and submit it as quick as possible. What is happening at Texas Lending: Once the loan has the signature of the Underwriter, it is conditionally approved! The mortgage process is nearly done. Work with your realtor to clear any conditions in the purchase contract. This list may include home repairs or the sale of your previous property. Sign the completed contract as soon as possible. What is happening at Texas Lending: Once the seller has signed the completed sale contract and your loan is conditionally approved. We can mark your loan cleared to close and set a closing date. Select a closing date when you (and your spouse) can attend the closing. Be prepared to bring a cashiers check to closing in the full amount of your closing costs. What is happening at Texas Lending: We will send you mortgage documents to the title company. Bring a valid drivers license, passport, or current legal photo identification to the title company on closing day. Be ready to sign, sign, and sign. Bring all parties to the closing, even a non-purchasing spouse must sing some or all of the documents. What is happening at Texas Lending: We will let you and your realtor know that you loan has funded. What you can do during this step: Once your loan is funded, you realtor can hand you the keys to your new home! 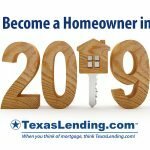 At TexasLending.com, we are here to help you finance your new home and have a great experience during the mortgage process. We look forward to working with our customers to achieve their home ownership goals. The advantages of choosing TexasLending.com as your mortgage lender is our low rates, low fees, great service, and fast closing. Reach out to us today to get started.